If cutesy bedding doesn't do it for you, you’ve come to the right place. 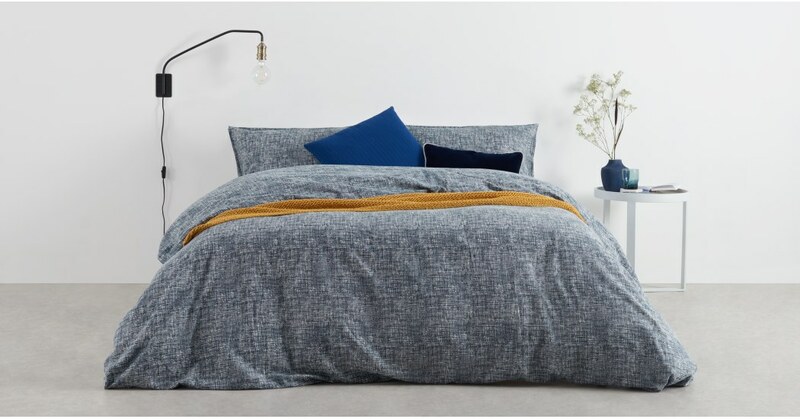 Fleck has a contemporary, Nordic look but it feels so cosy, thanks to the brushed cotton. Crafted from brushed cotton, Fleck feels snuggly and temperate, all year round. So no more climbing into cold sheets. Just choose between its sleek grey or blue tones.